Hey everyone! 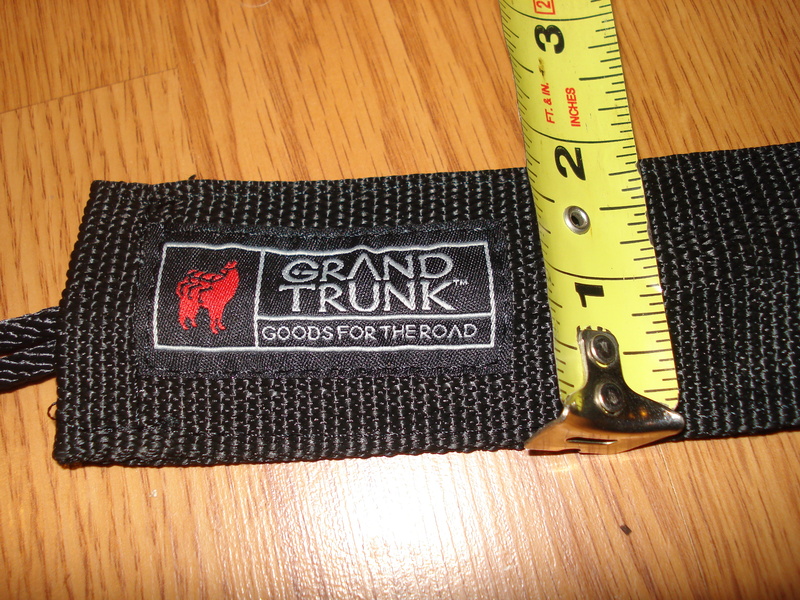 I’m excited to be writing this article about the Grand Trunk Goods double hammock. 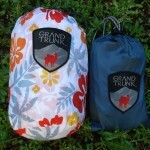 Just recently Grand Trunk Goods sent me a double hammock from their print series. Along with a tree sling kit. On one side of the rope is a big loop and the other side is a loop with a few knots going down the rope. The knots are there so we can clip the carbiner from hammock just above the knot. One strap weighs 4 1/4 ozs. 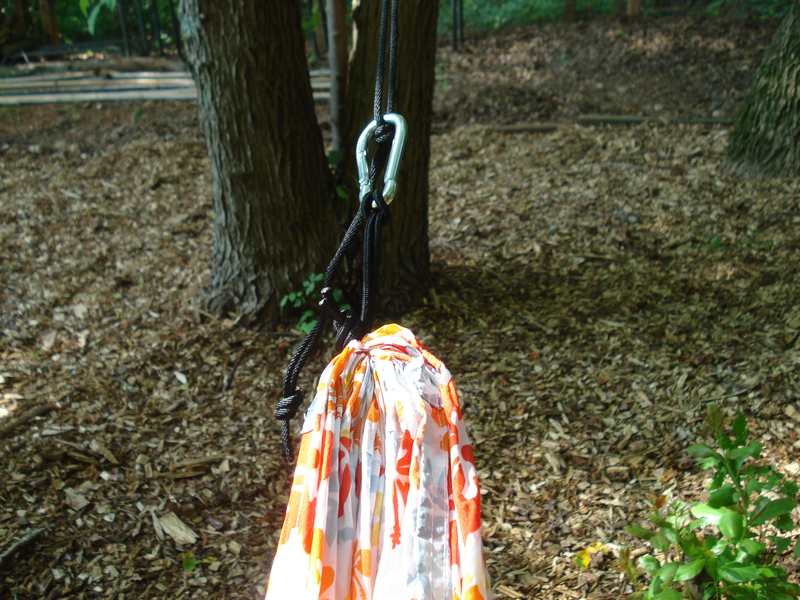 Both tree slings in stuff sack weighs almost 9 ozs. It comes in at 8 7/8 ozs on my scale. Stuff sack size measures 7.5″ x 4″. This is a very easy system requiring no other pieces. 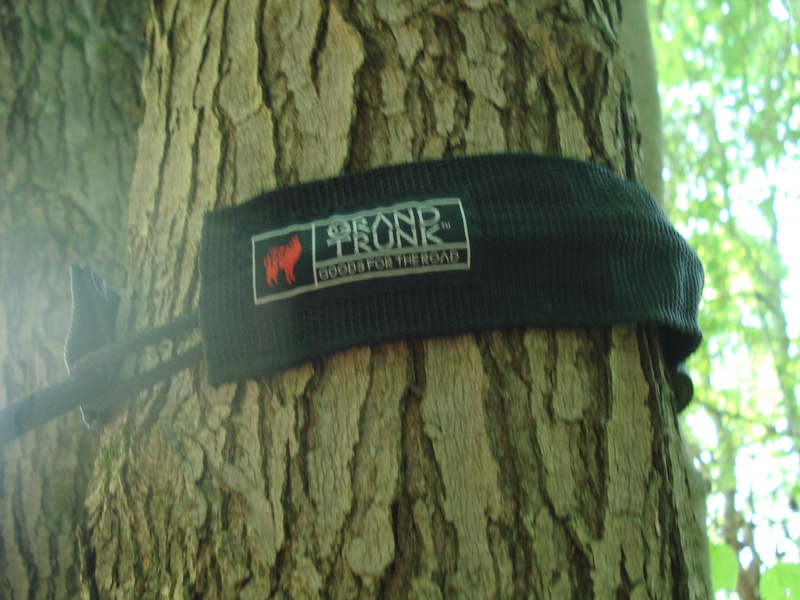 The wide straps will not harm the trees. Leaving No Trace. 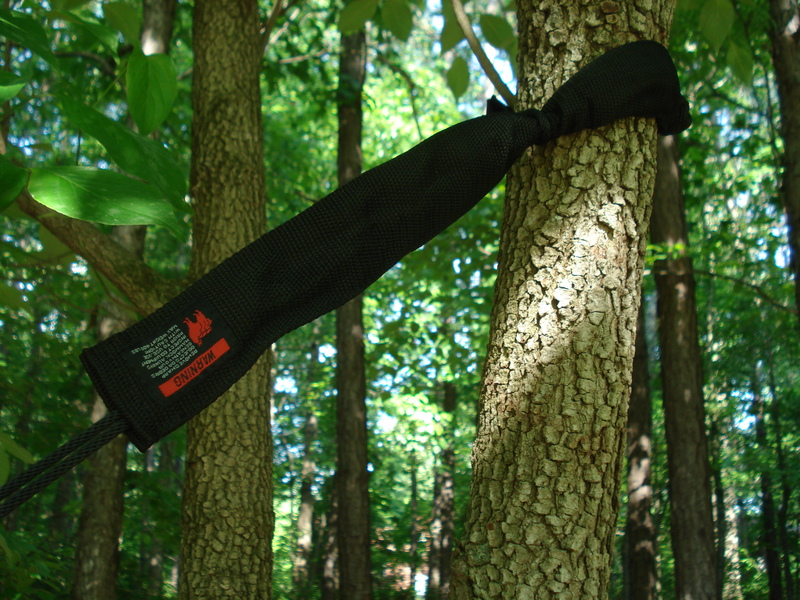 How to attach the tree slings— take the wide piece of the strap and place it up on the tree trunk. 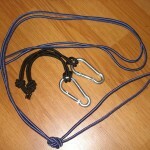 Then string the knotted piece of the rope through the loop. Pull on the knotted end, threading it through the loop until the straps are tight around the tree Do the same on another tree with other strap. The hammock. 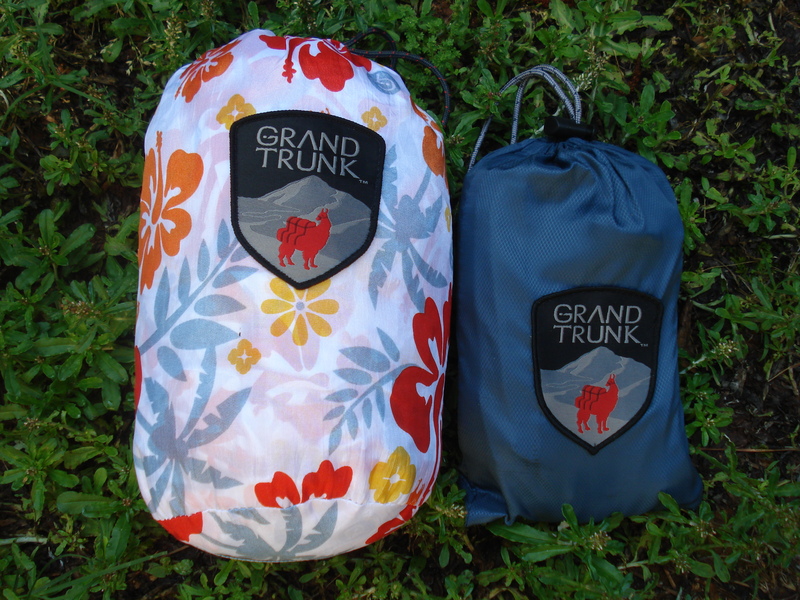 Grand Trunk Goods carries a variety of hammock models. All with different widths and lengths. In my mind, hammocks are like shoes, there’s a pair for each occasion. 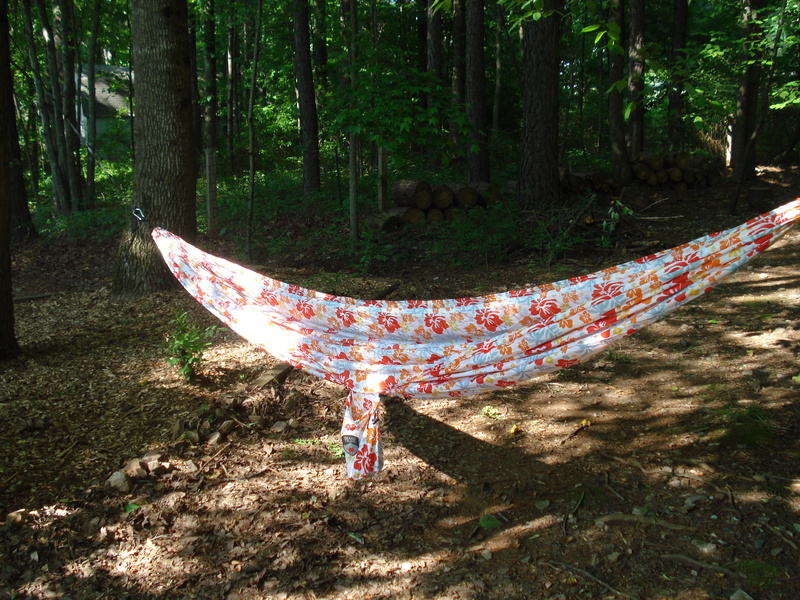 Today I’m going to talk about the double hammock from the print series. This hammock measures 10′ 6″ long and is 6′ 6″ wide. At each end is a sewn in channel with a piece of continuous loop rope threaded through the channel. 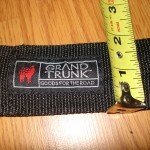 Grand Trunk attaches a nautical carabiner to the rope on each end. 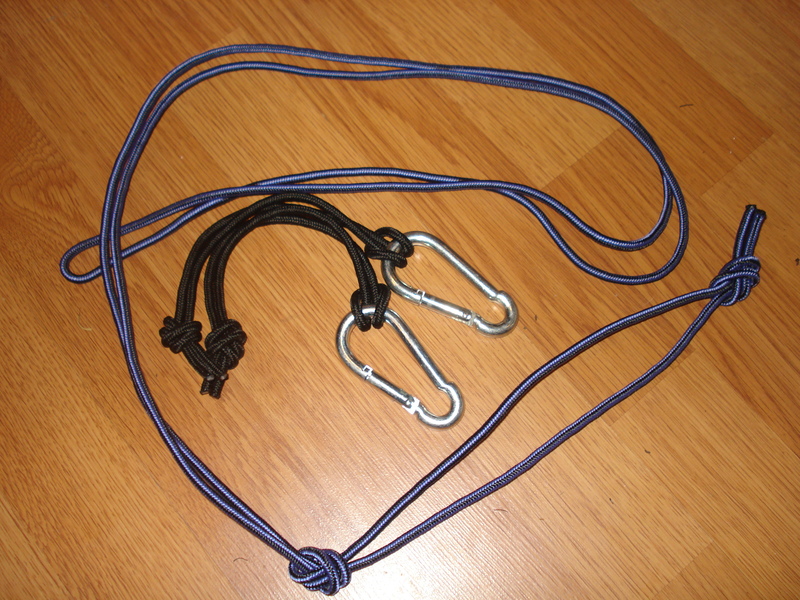 Also supplied with this kit are two pieces of rope (big continuous loops) 51″ long — intended to be used as tree slings. Because I have the tree sling kit I will not be using the ropes that came packaged with this hammock. The material seems & bit thicker than other hammock I have used – where at first I thought it was a double layer. Their web site description states that it is made from parachute nylon. For those who might have a ultralight traveler, the Traveler is made from Polyester taffeta. This double hammock material is just slightly heavier than the traveler. The material on this double hammock has a silky soft feeling when laying in it. 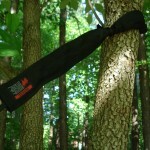 It has it’s own stuff sack attached which becomes a great side pocket when hammock is set up. Setup: Attaching the tree slings to trees, then hooking each carabiner from the hammock ends just above a selected knot on the tree slings took approximately 5 minutes. 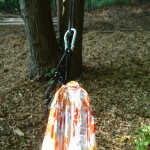 Attachment point of carabiner on tree sling’s will vary depending on distance of your trees. Comfort: Was almost instant! Being this hammock is over 6′ wide it was not difficult to find a comfort spot when I first laid down. It was easy to lay in a diagonal direction which enabled me to lay flat or when I sat down there was plenty of room to lounge back to use hammock as seat. Length of hammock is nice at 10’ 6” which will leave options open for various tarps on the market. Using a underquilt. While I did not attach an underquilt to this hammock yet. 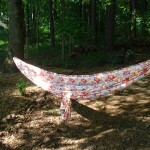 I have read that most underquilts offered by cottage manufactures will work with a double hammock. For those looking for a little more comfort & room when camping – this hammock has all the features you’ll need. Or for those day trips to the lake I always bring along a hammock – much better than a folding chair! The products I described here will give you a complete hammock setup with all the hardware you need in one kit. I look forward to using this hammock more long term. If you have any questions or feedback please post below. Thanks for reading & watching my videos! 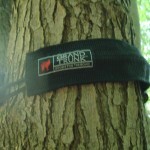 Disclosure of Material Connection: I received the double hammock & tree sling kit for free from Grand Trunk Goods as coordinated by Deep Creek Public Relations. Hey Claire, Thanks for the guide. I just purchased a Grand Trunk Double Hammock and I think I am going to enjoy it. I just wanted to say that even though the package says it has a 400lb capacity the stretch of the hammock tree straps is astonishingly large. I pitched my hammock tree straps at about 7ft with the hammock being at around 3’5″ – 4′ off the ground, and being a big bear of a man that I am (~300 lbs), the hammock proceeded to stretch all the way to the ground. Not a pleasant feeling at all. I have since upgraded my suspension system but wanted to let those out there know, the suspension system provided is not for the large of heart.